FedEx is an express transportation company, offering time-certain delivery within one to three business days. Growth has occurred in the company with its newest slogan, ‘The World on Time’. FedEx houses over 285,000 employees total within their three major hub cities. In 2013, FedEx was named by Fortune magazine as one of the top 100 companies to work for. 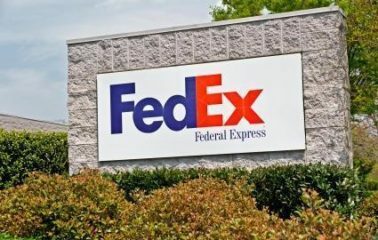 FedEx was founded in 1973 in Memphis, Tennessee, birthing a new industry by delivering urgent packages overnight. From our humble beginnings with 14 small aircraft serving 25 cities, FedEx has grown to become the world’s largest express transportation company, providing fast and reliable delivery to nearly every address in North America and connecting any two major North American cities within 24 hours. With Memphis being home to FedEx, you can find several employees living in Magnolia Homes communities. Cypress Grove, Shepherd’s Creek, and Magnolia Preserve are less than 15 minutes away from the World Technology Center and less than 15 minutes from the World Headquarters. Saunders Creek is less than 25 minutes of a commute to the World Technology Center as well as the World Headquarters. If you are moving to Memphis to be a part of the FedEx family, please contact us to build your dream home and make your move seamless!